Office Location: Liverpool, UK. Employees can also work full time from this office. We develop bespoke Rails Apps for a global client base in the Work & Travel and Sports Delivery sectors alongside building and maintaining our own products including Hanover, the cultural exchange CRM. We’re looking to add more Ruby devs to our team at the Albert Dock, Liverpool, UK or meeting the right people who can fit into our remote working team. If you’ve got experience in writing applications for the web in Ruby and you think you’ll have the ability to dive straight into writing new features and making adaptations to existing features, we’d love to hear from you. Full Time. Salary, based on skills and experience. We stay inline with the latest versions of both Ruby and Rails. Our software is deployed in AWS and Rackspace. We make good use of the AWS ecosystem including the use of EC2, ELB, SES, EFS and more. Our business systems are critical and for that reason you’ll need to be comfortable writing test driven code in most cases. You’ll be working on code that will make a difference to people’s lives. Most of our clients are based overseas. Mainly in the US. There are travel opportunities if you wish. You’ll be part of a team that is passionate about Ruby On Rails and we’d love to hear from likeminded devs. 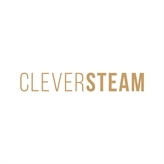 Want to get notified about new jobs at Cleversteam?